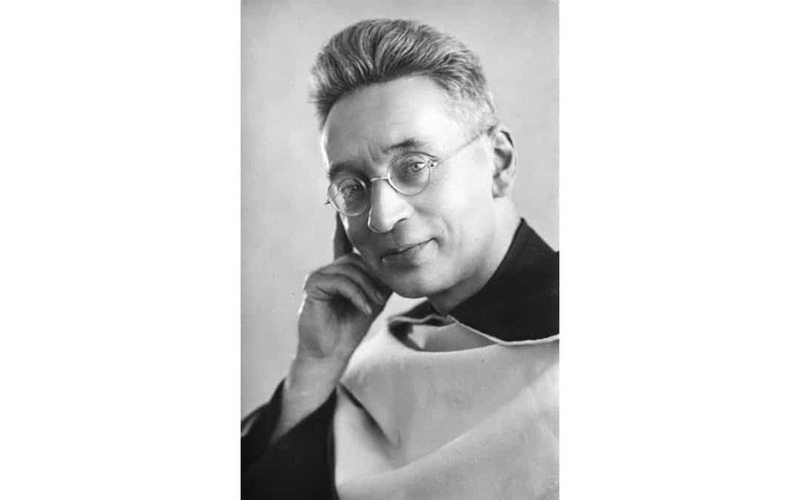 On this feast day of Blessed Titus Brandsma, Dutch Carmelite priest and martyr of the Holocaust, we would like to highlight God’s steadfast love and fidelity. God gave Blessed Titus the grace and strength to perform heroic acts of suffering and forgiveness amidst violent Nazi persecution through his unwavering faith that God would never leave him. Blessed Titus Brandsma was born in Bolsward (the Netherlands) in 1881 and joined the Carmelite Order as a young man. He was ordained a priest in 1905 and earned a doctorate in philosophy in Rome. Most of his priestly service was in the work of education, then journalism, when in 1935, he was appointed ecclesiastical advisor to Catholic journalists. Father Titus fought against the spread of Nazi ideology and for the freedom of Catholic education and particularly for the Church’s freedom to refuse the printing of Nazi propaganda in their newspapers. Blessed Titus was arrested and sent to a succession of prisons and concentration camps where, despite the cruelty done to him, he still brought comfort and peace to his fellow prisoners and did good to his tormentors. In 1942, after much suffering and humiliation, he was killed in Dachau. He was beautified by Pope John Paul II on November 3, 1985. Proper of the Liturgy of the Hours of the Brothers of the Blessed Virgin Mary of Mount Carmel and the Order of Carmelite Discalced, 1993. Blessed Titus of Brandsma, pray that our faith may increase in the steadfast love of God amidst our sufferings!